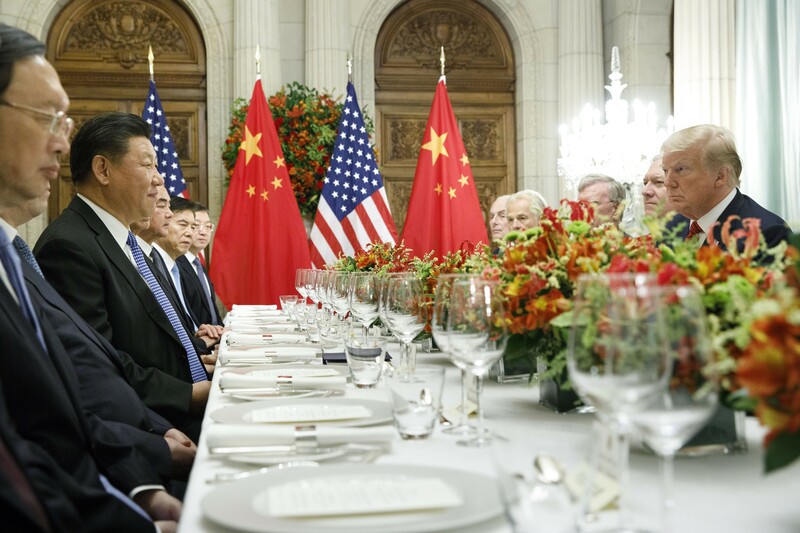 WASHINGTON — President Donald Trump cast his Saturday meeting with President Xi Jinping of China as a huge win for the United States, insisting that U.S. farmers and automakers would reap immediate benefits from a trade truce that has yet to produce any concrete commitments and created more questions than answers about what China is truly prepared to offer. Trump and Xi agreed during the G-20 meeting in Buenos Aires, Argentina, to pause the trade war between the world’s two largest economies for 90 days and work to resolve several areas of tension, including the trade gap between what America imports from China and what China buys from the United States. But nothing beyond their official statements exists and deep divisions remain, particularly related to China’s industrial policies and its treatment of U.S. companies. That did not stop Trump from declaring victory for farmers, automakers and other key political constituencies — statements that helped send volatile financial markets higher Monday. In a separate tweet late Sunday, Trump said that China had agreed to reduce and remove tariffs on cars coming into China from the United States. The current tariff rate is 40 percent, which China reached in response to Trump’s tariffs on $250 billion worth of goods, and it was not clear to what level it would fall. Larry Kudlow, who heads the White House National Economic Council, told reporters in a briefing that he was uncertain what Trump meant. Kudlow also kicked the trade can down the road even further, saying the truce would begin Jan. 1, giving the two sides until April 1 — rather than the March 1 date initially mentioned — to strike a deal. And in a move that could signal a tough negotiation ahead, Kudlow said that Robert Lighthizer, the U.S. trade representative, would be formally taking over as the lead negotiator to hammer out a deal.